Where can you get a Westfield bathroom design? I guess that depends on where you live. If you live in Westfield, you have access to one of the best Westfield bathroom design businesses in the country! Every person has a different idea about what make a bathroom desireable. At Modern Millwork Kitchen & Bath Studio. we have been designing and remodeling bathrooms for years. Our experts can help you with your Westfield bathroom redesign. We have a vast experience in all aspects of remodeling, and specialize in kitchen and Westfield bathroom redesign. At Modern Millwork Kitchen & Bath Studio we believe that it is the smaller details and quality work that can make a big difference to the look and feel of your project. Second only to your kitchen, one of the best home improvements you can make is to remodel your bathroom. A Westfield bathroom redesign can not only add value to your home but can also enhance the appearance, and make it a more usable space. The average American spends at least 30 minutes each day in the bathroom. Don’t you want that space to be the best it ca be? We can help you achieve that with a Westfield bathroom redesign. 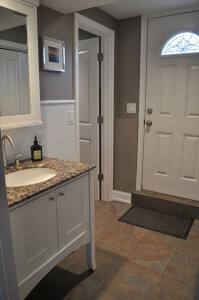 Bathroom remodeling is not a job for non-professionals! You can actually save money when you do things right the first time. And it will usually look a lot better? Some things that you may want to look for in your new space are luxury and convenience. It’s important to make sure that you incorporate elements in your Westfield bathroom redesign that are efficient, space saving, and timeless in their design. Perhaps you are looking for the perfect soaking tub, or a whole new color scheme, fixtures that will stand the test of time. Some of the most important elements in your Westfield bathroom redesign should include smarter storage, the best ventilation, and energy efficiency. Don’t tackle that Westfield bathroom redesign alone. Take a look at some of our finished designs online at www.modernmillwork.net or call us today at 973-759-5943.